To motorise and control axes on a 3-tonne press that punches out micromechanical parts used by watchmaking, micromechanics, mechatronics, electrical and electronic manufacturers. Traditionally these processes have been done hydraulically or mechanically. To interactively motorise, numerically control and monitor all the functions of the press using FANUC motors and a CNC. This enables absolute control of the punching process across a large number of varieables. The Greub G3 press represents a profound change in the way that new cutting and precision stamping tools are created. 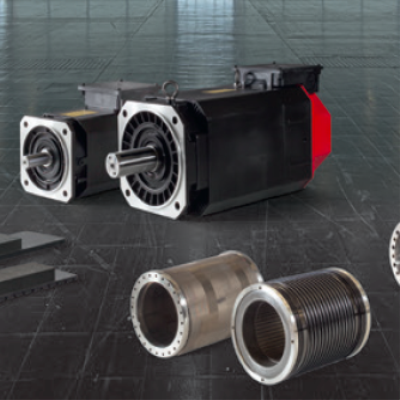 Simple and, therefore, less expensive tools can be designed for small and medium production runs that are better adapted to the customised products required by the market. Punching out micromechanical parts by progressive tools is primarily a hydraulic or mechanical process. The motorisation of axes and their control by a CNC brings this technology into the Industry 4.0 era. Greub, a Swiss machine tool designer and refurbisher has demonstrated its awareness of the potential by calling in the world leader in CNC technology. Watchmaking, micromechanics, mechatronics and many electrical and electronic manufacturers need small, thin components in small, medium and large production runs. These pieces are punched out at extremely high speeds (up to 300 cuts/min) from steel rolls with thicknesses of less than 1mm. Heir to a long family tradition of expertise in the reconstruction of machine tools, François Maxime Greub, the proprietor of Greub Machines SA founded by his grandfather (Jean), has shown an early appreciation the potential for digitisation of such operations, by motorising and adapting small 3 tonne presses to the digital age a few years ago with his partner FANUC. This perfect integration opens the way to implementation of Industry 4.0, the 4th industrial revolution. A progressive press must work within several key parameters: the descent of the slider, with a given length and possible adjustment of the top dead centre (TDC) and bottom dead centre (BDC); the striking rate in strokes/minute; the speed and feed rate of the steel roll feed. Scrap and/or the workpiece can be ejected by means of the die, or can be reintroduced into the feed line, for example for a rework operation or for subsequent overmoulding. The accuracy of positioning between punches and dies depends on the tool die set and on final recentering of the strip. All these factors depend on the quality of the tool, the adjustment of the press power to the material strength and the perimeter to be cut or the surface to be punched. François Maxime Greub and Thierry Maître, an independent FANUC integrator, had the ingenious idea of interactively motorising, numerically controlling and monitoring all the functions of the press, thereby taking the specific mechanical features of the press completely into account. Accordingly, the slider is lowered and its TDC/BDC are monitored by a FANUC DiS torque motor and its encoder, actuating a ball screw with a 3 tonne pressing force in a controlled manner. Meanwhile the steel strip feed is controlled by a linear motor. The strip is unrolled by two motorised winders on each side of the machine, whereby the feed rate is monitored optoelectronically. With six FANUC absolute motors, the protective door can also be numerically controlled. The drive system is programmed and controlled by a FANUC Power Motion i-A CNC. "The FANUC man-machine interface of the CNC means that everything is under control and easily programmable," explains Thierry Maître. CNC presses are nothing new, but the Greub G3 press represents a profound change in the way that new cutting and precision stamping tools are created. Simple and therefore less expensive tools can be designed for small and medium production runs that are better adapted to the customised products required by the market. In the case of progressive machines, for example, standard modules for mounting punches and dies that can easily swapped in and out as required, can easily be integrated in the die sets. 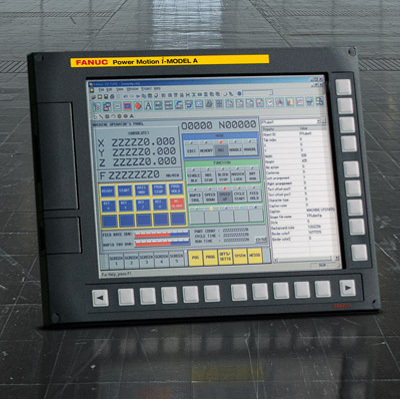 The FANUC numerical controller in combination with an optical or laser scanner controls the strip feed function with extremely precision. Likewise, the rate of descent, the approach and cutting speeds as well as the depth of penetration can be controlled to two decimal places. The relationship between striking rate, the thickness to be cut and the strip feed rate is also fully programmable. Operator safety is assured at all times, with all security features automatically taking into account the press operating status. 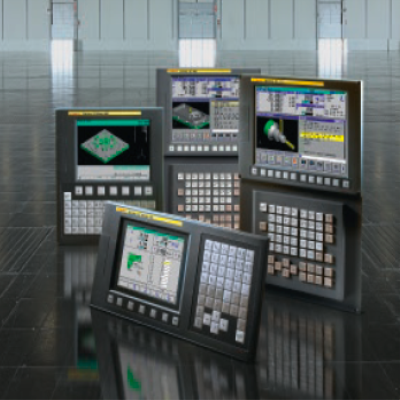 The user-friendliness of the FANUC controller and its multifunctional integration capabilities (touch screen, 4 channels, 24 axes) give free rein to the imagination of designers. For manufactures in the watchmaking, micromechanical and mechatronics industries, the ability to produce parts in small series, with high repeatability and at mass production costs, opens up completely new vistas. Greub Machines SA with its partner FANUC and the system integrator Thierry Maître may be ahead of their time. Released in 2013, the G3 press has not yet been as successful as expected. Interest in the numerical integration of the machines in line with Industry 4.0 may change things, but at the end of the day market and new generations of machine setters will have the last word. The need to produce cheaper mechanical parts with ever greater precision in small runs is driving the trend to numerical control in all areas of manufacturing. FANUC has the controllers, hardware and software as well as the know-how to support companies moving in this direction. Its team of 50 committed employees based in Switzerland live up to the challenge every working day.